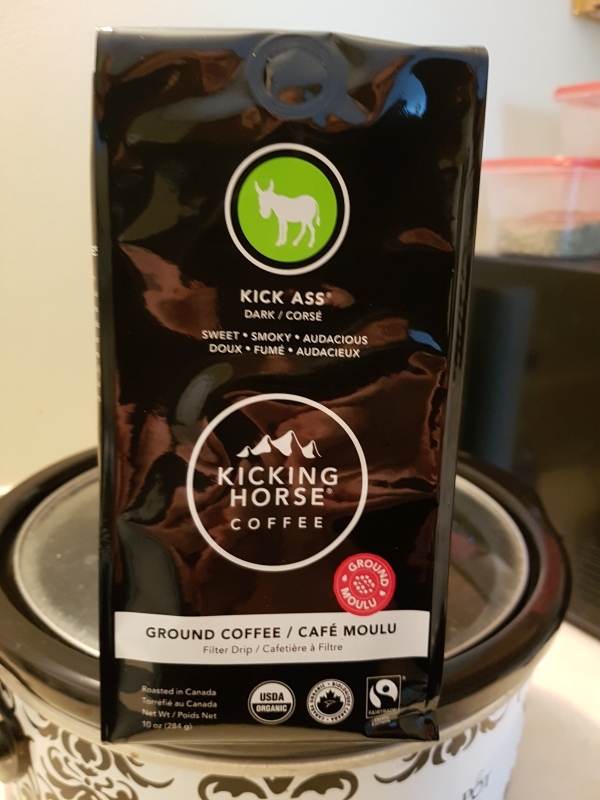 Kicking Horse Coffee makes this lovely blend. As it says on the bag, it is sweat and smoky. It's almost like Swiss but not quite the same. This is one of the best cups of coffee I've had in a few years. It's smooth and medium dark in taste, although it's branded dark roast. It also has a bit more kick than my normal coffee. It is however a lot more money than my normal coffee, in fact almost twice as much. But for a treat it was just the thing. I'll enjoy every last bit of it.